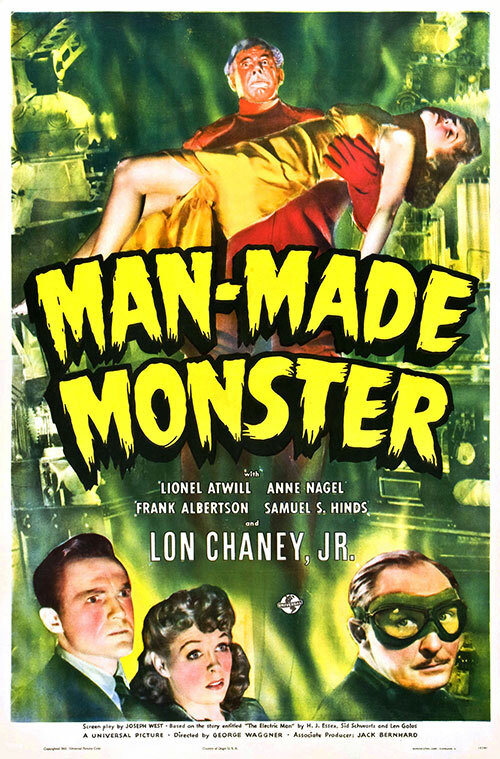 Lon Chaney, Jr. made his science-fiction debut in this B-picture, the story of a sideshow freak--the only survivor in a carnival traffic accident--who becomes immune to electricity. Abused by a mad scientist trying to develop a super race, the freak becomes a zombie and kills the scientist's assistant, only to be tried for murder. The film is also known as Atomic Monster. 1 Response to "Man Made Monster (1941) George Waggner "